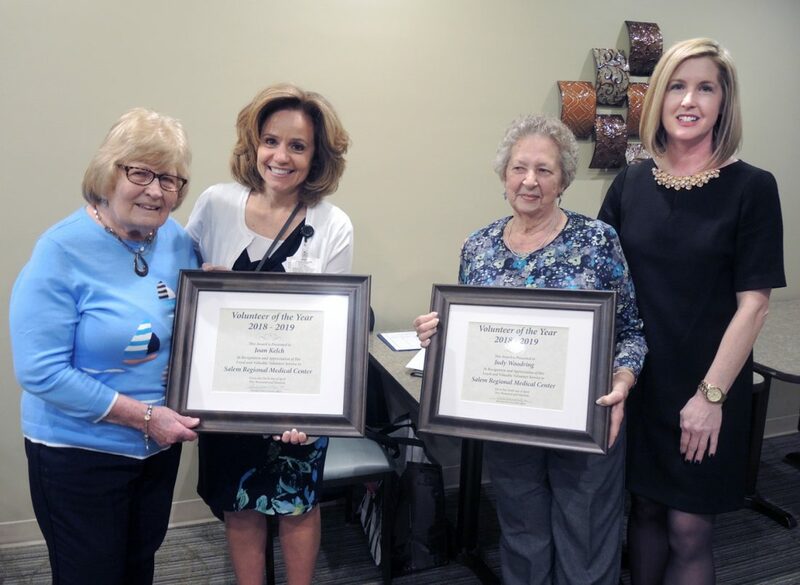 Joan Kelch and Judy Woodring were recently honored as Salem Regional Medical Center’s “Volunteers of the Year” at the hospital’s annual Volunteer Appreciation Dinner. Kelch and Woodring are long-time SRMC volunteers, with a combined 33 years of service to the hospital. Both honorees donate their time providing assistance to patients and families visiting SRMC’s Information desk and surgical waiting room. Shown following the awards presentation are (from left)Kelch; Dr. Anita Hackstedde, SRMC president/CEO; Woodring; and Amy Reed, SRMC director of development. The hospital is accepting applications for new volunteers. To learn more about joining SRMC’s volunteer team, email volunteerservices@salemregional.com or contact Reed at 330-337-2883.